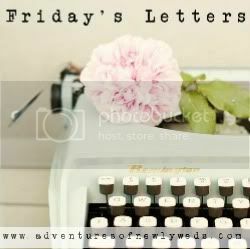 I wanted to do something different/fun this Fridays Letters. Lets see how this works out. Thank you Pinterest.